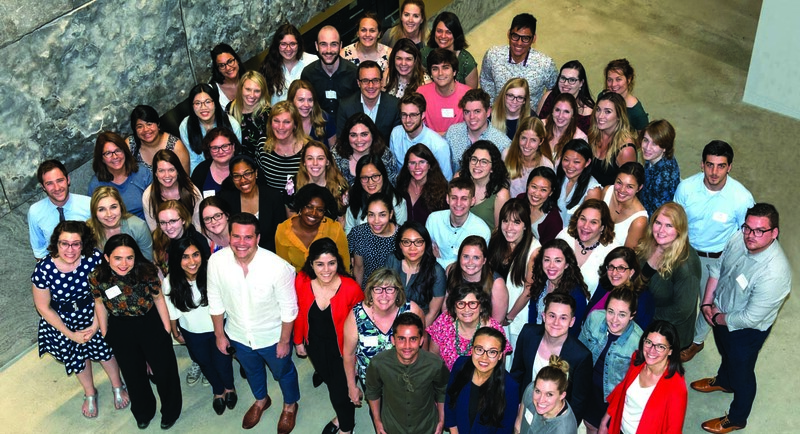 Pro Bono Students Canada (PBSC), an organization founded and headquartered at the University of Toronto Faculty of Law, has been recognized with the 2019 Emil Gumpert Award for its groundbreaking proposal to pilot two Indigenous human rights clinics in Ontario. The award, given by the American College of Trial Lawyers (ACTL), comes with a US$100,000 grant. “These pilot clinics are needed, important and timely,” said Kim Snell, the organization's interim national director. “This generous award allows us – PBSC and our partners – to make a real step forward in redressing the human rights of Indigenous Peoples. We are so grateful to the ACTL for believing in our vision. The PBSC clinics are to be located in Toronto and Ottawa at the Ontario Federation of Indigenous Friendship Centres (OFIFC). They will be staffed by law student volunteers and pro bono human rights lawyers who will provide culturally sensitive legal services to Indigenous Peoples in a safe and welcoming clinical setting. “The college is proud to facilitate the creation by Pro Bono Students Canada of these pilot Indigenous Human Rights clinics,” said Jeffrey S. Leon, ACTL president and a U of T Law alumnus. “Promoting access to justice is fundamental to the college’s mission to maintain and improve the administration of justice in Canada and the United States. PBSC’s legal and community partners, such as the OFIFC, are an integral part of this project. The OFIFC is the largest urban Indigenous service network in Ontario. In addition, McCarthy Tétrault LLP, one of Canada’s leading firms and PBSC’s national law firm partner since 2004, will provide lawyers to represent Indigenous clients pro bono at human rights mediations and tribunals. Other important partners include the Canadian Human Rights Commission, the Ontario Human Rights Commission, the Human Rights Legal Support Centre (Ontario), Thomson Reuters, the University of Toronto Faculty of Law, Osgoode Hall Law School at York University and the University of Ottawa Faculty of Law. PBSC will be honoured at a ceremony on April 24 at the 18th annual symposium sponsored by the Advocates Society and ACTL.